French divine, orator and writer, born at Dijon on the 27th of September 1627. He came of a family of prosperous Burgundian lawyers; his father was a judge of the parliament (a provincial high court) at Dijon, afterwards at Metz. The boy was sent to school with the Jesuits of Dijon until 1642, when he went up to the college of Navarre in Paris to begin the study of theology; for a pious mother had brought him up to look on the priesthood as his natural vocation. At Navarre he gained a great reputation for hard work; fellow-students nicknamed him Bos suetus aratro -- an ox broken in to the plough. But his abilities became known beyond the college walls. He was taken up by the Hôtel de Rambouillet, a great center of aristocratic culture and the original home of the Précieuses. Here he became the subject of a celebrated experiment. A dispute having arisen about extempore preaching, the boy of sixteen was put up, late one night, to deliver an impromptu discourse. He acquitted himself as well as in more conventional examinations. In 1652 he took a brilliant degree in divinity, and was ordained priest. The next seven years he spent at Metz, where his father's influence had got him a canonry at the early age of thirteen; to this was now added the more important office of archdeacon. He was plunged at once into the thick of controversy; for nearly half Metz was Protestant, and Bossuet's first appearance in print was a refutation of the Huguenot pastor Paul Ferry (1655). To reconcile the Protestants with the Roman Church became the great object of his dreams; and for this purpose he began to train himself carefully for the pulpit, an all-important center of influence in a land where political assemblies were unknown, and novels and newspapers scarcely born. Not that he reached perfection at a bound. His youthful imagination was unbridled, and his ideas ran easily into a kind of paradoxical subtlety, redolent of the divinity school. But these blemishes vanished when he settled in Paris (1659), and three years later mounted the pulpit of the Chapel Royal. In Paris the congregations had no mercy on purely clerical logic or clerical taste; if a preacher wished to catch their ear, he must manage to address them in terms they would agree to consider sensible and well-bred. Not that Bossuet thought too much of their good opinion. Having very stern ideas of the dignity of a priest, he refused to descend to the usual devices for arousing popular interest. The narrative element in his sermons grows shorter with each year. He never drew satirical pictures, like his great rival Bourdaloue. He would not write out his discourses in full, much less learn them off by heart; of the two hundred printed in his Works all but a fraction are rough drafts. No wonder ladies like Mme. de Sévigné forsook him, when Bourdaloue dawned on the Paris horizon in 1669; though Fénelon and La Bruyère, two much sounder critics, refused to follow their example. Bossuet possessed the full equipment of the orator, voice, language, flexibility and strength. He never needed to strain for effect; his genius struck out at a single blow the thought, the feeling and the word. What he said of Martin Luther applies peculiarly to himself: he could "fling his fury into theses", and thus unite the dry light of argument with the fire and heat of passion. These qualities reach their highest point in the Oraisons funébres. Bossuet was always best when at work on a large canvas; besides, here no conscientious scruples intervened to prevent him giving much time and thought to the artistic side of his subject. For the Oraison, as its name betokened, stood midway between the sermon proper and what would nowadays be called a biographical sketch. At least, that was what Bossuet made it; for on this field he stood not merely first, but alone. His three great masterpieces were delivered at the funerals of Henrietta Maria, widow of Charles I (1669), her daughter, Henrietta, Duchess of Orleans (1670), and the great soldier Condé (1687). Apart from these state occasions, Bossuet seldom appeared in a Paris pulpit after 1669. In that year he was gazetted bishop of Condom in Gascony, though he resigned the charge on being appointed tutor to the dauphin, only child of Louis XIV, and now a boy of nine (1670). The choice was scarcely fortunate. Bossuet unbent as far as he could, but his genius was by no means fitted to enter into the feelings of a child; and the dauphin was a cross, ungainly, sullen lad, who grew up to be a merely genealogical incident at his father's court. Probably no one was happier than the tutor, when his charge's sixteenth birthday came round, and he was promptly married off to a Bavarian princess. Still the nine years at court were by no means wasted. Hitherto Bossuet had published nothing, except his answer to Ferry. Now he sat down to write for his pupil's instruction -- or rather, to fit himself to give that instruction -- a remarkable trilogy. First came the Traité de la connaissance de Dieu et de soi-même, then the Discours sur l'histoire universelle, lastly the Politique tirée de l'Écriture Sainte. The three books fit into each other. The Traité is a general sketch of the nature of God and the nature of man. The Discours is a history of God's dealings with humanity in the past. The Politique is a code of rights and duties drawn up in the light thrown by those dealings. Not that Bossuet literally supposed that the last word of political wisdom had been said by the Old Testament. His conclusions are only "drawn from Holy Scripture", because he wished to gain the highest possible sanction for the institutions of his country -- to hallow the France of Louis XIV by proving its astonishing likeness to the Israel of Solomon. Then, too, the veil of Holy Scripture enabled him to speak out more boldly than court-etiquette would have otherwise allowed, to remind the son of Louis XIV that kings have duties as well as rights. Louis had often forgotten these duties, but Louis' son would bear them in mind. The tutor's imagination looked forward to a time when France would blossom into Utopia, with a Christian philosopher on the throne. That is what made him so stalwart a champion of authority in all its forms: "le roi, Jésus-Christ et l'Église, Dieu en ces trois noms", he says in a characteristic letter. And the object of his books is to provide authority with a rational basis. For Bossuet's worship of authority by no means killed his confidence in reason; what it did was to make him doubt the honesty of those who reasoned otherwise than himself. The whole chain of argument seemed to him so clear and simple. Philosophy proved that a God exists, and that He shapes and governs the course of human affairs. History showed that this governance is, for the most part, indirect, exercised through certain venerable corporations, as well civil as ecclesiastical, all of which demand implicit obedience as the immediate representatives of God. Thus all revolt, whether civil or religious, is a direct defiance of the Almighty. Cromwell becomes a moral monster, and the revocation of the edict of Nantes is "the greatest achievement of the second Constantine." Not that Bossuet glorified the status quo simply as a clerical bigot. The France of his youth had known the misery of divided counsels and civil war; the France of his manhood, brought together under an absolute sovereign, had suddenly shot up into a splendor only comparable with ancient Rome. Why not, then, strain every nerve to hold innovation at bay and prolong that splendor for all time? Bossuet's own Discours sur l'Histoire universelle might have furnished an answer, for there the fall of many empires is detailed. But then the Discours was composed under a single preoccupation. To Bossuet the establishment of Christianity was the one point of real importance in the whole history of the world. Over Mahomet and the East he passed without a word; on Greece and Rome he only touched in so far as they formed part of the Praeparatio Evangelica. And yet his Discours is far more than a theological pamphlet. Blaise Pascal, in utter scorn for science, might refer the rise and fall of empires to Providence or chance -- the nose of Cleopatra, or "a little grain of sand" in the English lord protector's veins. Bossuet held fast to his principle that God works through secondary causes. "It is His will that every great change should have its roots in the ages that went before it." Bossuet, accordingly, made a heroic attempt to grapple with origins and causes, and in this way his book deserves its place as one of the very first of philosophic histories. From writing history he turned to history in the making. In 1681 he was gazetted bishop of Meaux; but before he could take possession of his see, he was drawn into a violent quarrel between Louis XIV and the pope. Here he found himself between two fires. To support the pope meant supporting the Jesuits; and he hated their casuists and dévotion aisée almost as much as Pascal himself. To oppose the pope was to play into the hands of Louis, who was frankly anxious to humble the Church before the State. So Bossuet steered a middle course. Before the general assembly of the French clergy he preached a great sermon on the unity of the Church, and made it a magnificent plea for compromise. As Louis insisted on his clergy making an anti-papal declaration, Bossuet got leave to draw it up, and made it as moderate as he could. And when the pope declared it null and void, he set to work on a gigantic Defensio Cleri Gallicani, only published after his death. The Gallican storm a little abated, he turned back to a project very near his heart. Ever since the early days at Metz he had been busy with schemes for uniting the Huguenots to the Roman Church. In 1668 he converted Turenne; in 1670 he published an Exposition de la foi catholique, so moderate in tone that adversaries were driven to accuse him of having fraudulently watered down the Roman dogmas to suit a Protestant taste. Finally in 1688 appeared his great Histoire des variations des églises protestantes, perhaps the most brilliant of all his works. Few writers could have made the Justification controversy interesting or even intelligible. His argument is simple enough. Without rules an organized society cannot hold together, and rules require an authorized interpreter. The Protestant churches had thrown over this interpreter; and Bossuet had small trouble in showing that, the longer they lived, the more they varied on increasingly important points. For the moment the Protestants were pulverized; but before long they began to ask whether variation was necessarily so great an evil. Between 1691 and 1701 Bossuet corresponded with Gottfried Leibniz with a view to reunion, but negotiations broke down precisely at this point. Individual Roman doctrines Leibniz thought his countrymen might accept, but he flatly refused to guarantee that they would necessarily believe tomorrow what they believe today. "We prefer", he said, "a church eternally variable and for ever moving forwards." Next, Protestant writers began to accumulate some startling proofs of Rome's own variations; and here they were backed up by Richard Simon, a priest of the Paris Oratory, and the father of Biblical criticism in France. He accused St. Augustine, Bossuet's own special master, of having corrupted the primitive doctrine of Grace. Bossuet set to work on a Défense de la tradition, but Simon calmly went on to raise issues graver still. Under a veil of politely ironical circumlocutions, such as did not deceive the bishop of Meaux, he claimed his right to interpret the Bible like any other book. Bossuet denounced him again and again; Simon told his friends he would wait until "the old fellow" was no more. Another Oratorian proved more dangerous still. Simon had endangered miracles by applying to them lay rules of evidence, but Nicolas Malebranche abrogated miracles altogether. It was blasphemous, he argued, to suppose that the Author of nature would break through a reign of law He had Himself established. Bossuet might scribble nova, mira, falsa, in the margins of his book and urge on Fénelon to attack them; Malebranche politely met his threats by saying that to be refuted by such a pen would do him too much honor. These repeated checks soured Bossuet's temper. In his earlier controversies he had borne himself with great magnanimity, and the Huguenot ministers he refuted found him a kindly advocate at court. Even his approval of the revocation of the edict of Nantes stopped far short of approving dragonades within his diocese of Meaux. But now his patience was wearing out. A dissertation by one Father Caffaro, an obscure Italian monk, became his excuse for writing certain violent Maximes sur la comêdie (1694) wherein he made an outrageous attack on the memory of Molière, dead more than twenty years. 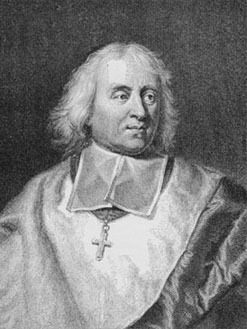 Three years later he was battling with Fénelon over the love of God, and employing methods of controversy at least as odious as Fénelon's own (1697-99). All that can be said in his defense is that Fénelon, twenty-four years his junior, was an old pupil, who had suddenly grown into a rival; and that on the matter of principle most authorities thought him right. Amid these gloomy occupations Bossuet's life came slowly to an end. Until he was over seventy he had scarcely known what illness was; but in 1702 he was attacked by the stone. Two years later he was a hopeless invalid, and on the 12th of April 1704 he passed quietly away. Of his private life there is little to record. Meaux found him an excellent and devoted bishop, much more attentive to diocesan concerns than his more stirring occupations would seem to allow. In general society he was kindly and affable enough, though somewhat ill at ease. Until he was over forty, he had lived among purely ecclesiastical surroundings; and it was probably want of self-confidence, more than want of moral courage, that made him shut his eyes a little too closely to the disorders of Louis XIV's private life. After all, he was not the king's confessor; and to "reform" Louis, before age and Mme. de Maintenon had sobered him down, would have taxed the powers of Daniel or Ezekiel. But in his books Bossuet was anything but timid. All of them, even the attacks on Simon, breathe an air of masculine belief in reason, rare enough among the apologists of any age. Bossuet would willingly have undertaken, as Malebranche actually undertook, to make an intelligent Chinaman accept all his ideas, if only he could be induced to lend them his attention. But his best praise is to have brought all the powers of language to paint an undying picture of a vanished world, where religion and letters, laws and science, were conceived of as fixed unalterable planets, circling for ever round one central Sun.